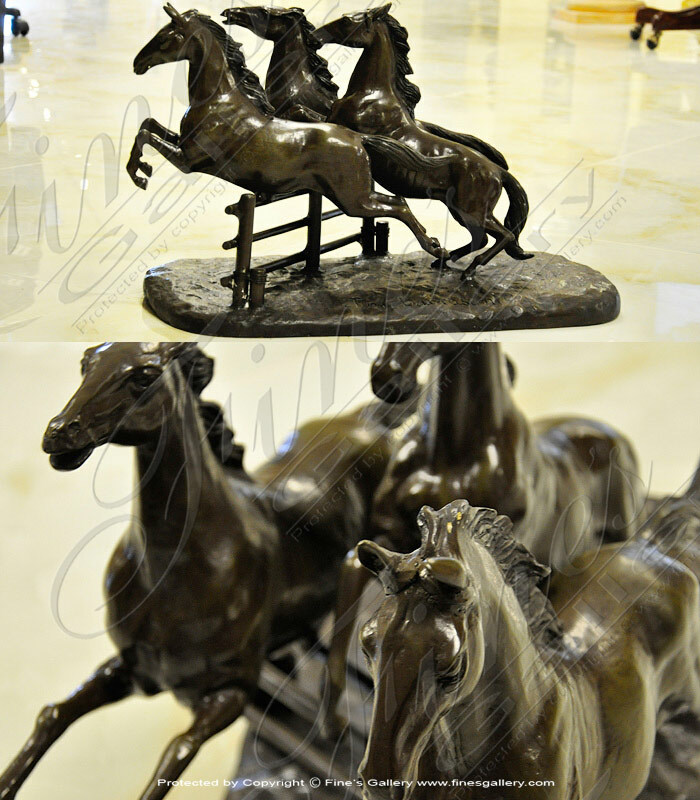 19th Century Rearing Bronze Stallions in solid bronze. 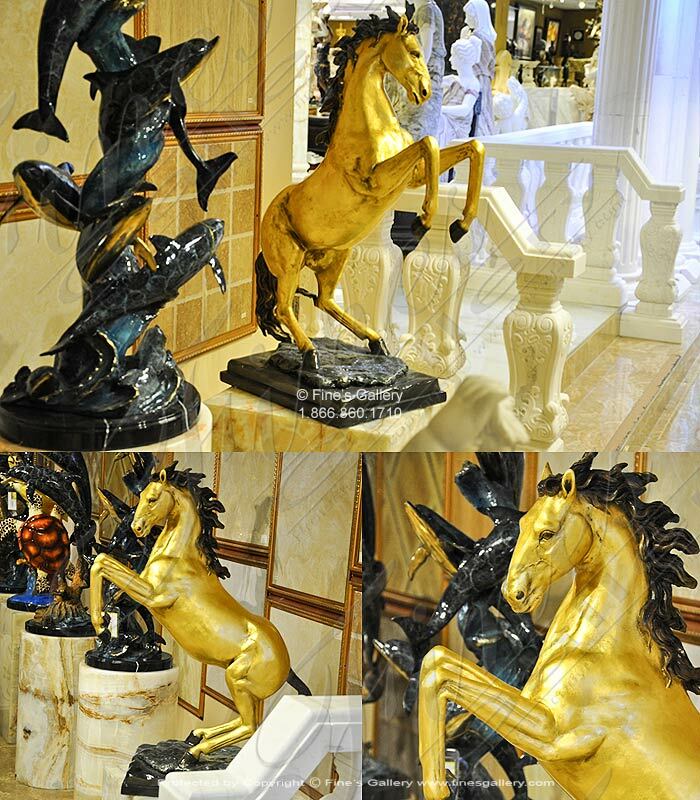 This oversized pair of bronze horses is magnificently detailed and very life like. 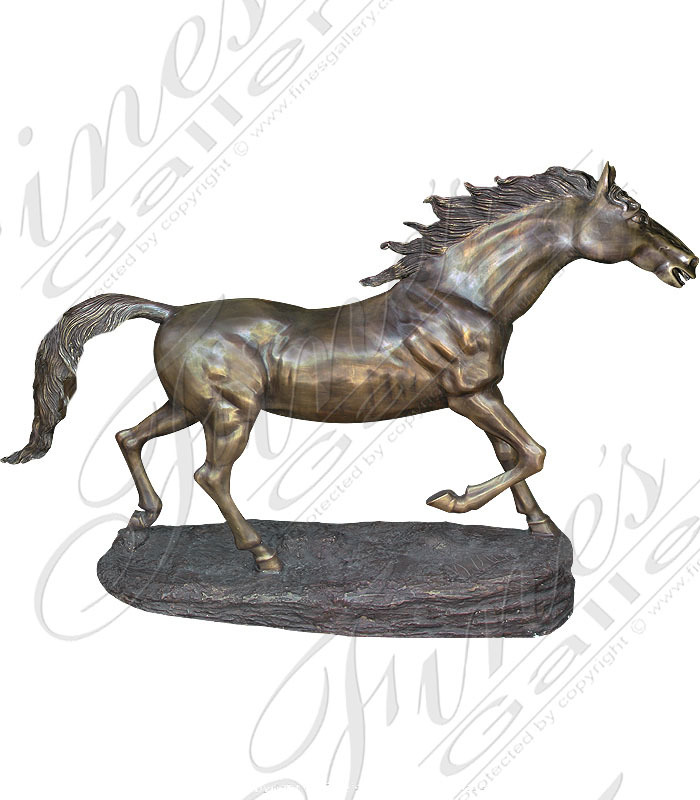 Life size bronze horse created through lost wax bronze process. A very life like high quality piece! 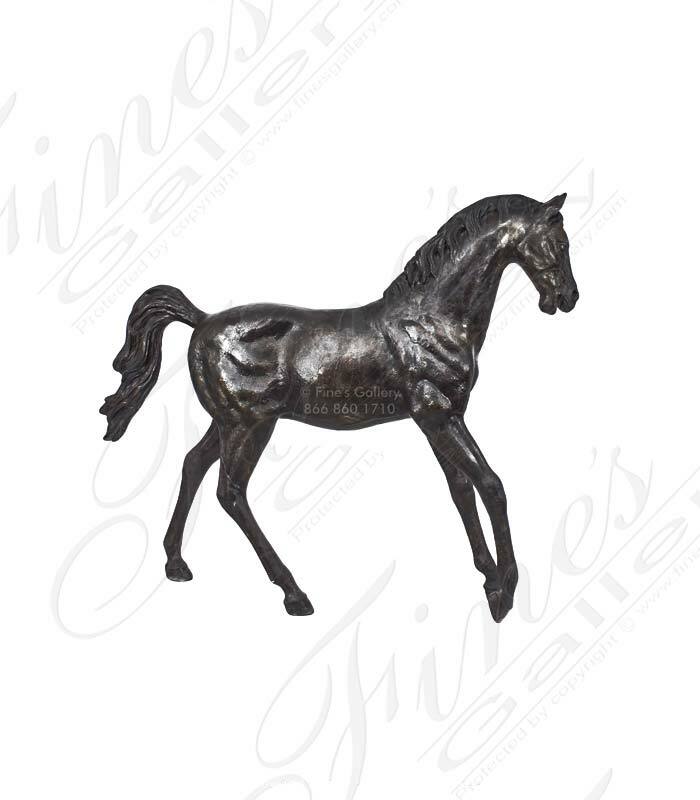 Finely crafted in dark bronze with all the beauty known to this charming and lovable animal. 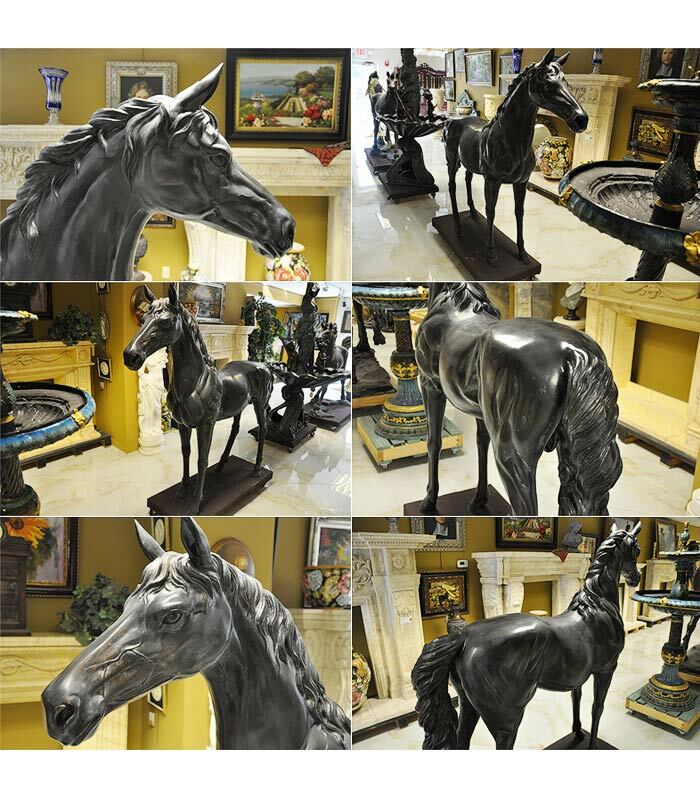 Amazingly detailed, this bronze statue shows off all the elegance of the proud and noble horse. Contact us today for personal assistance or to recieve a quote. The horse hasalwaysgained thefascination of manwith its speed, stamina, and majestic beauty. Thisportrait in rich bronze conveys all three of thesewith exceptionalbrilliance.We offer complete customizationin size and color. 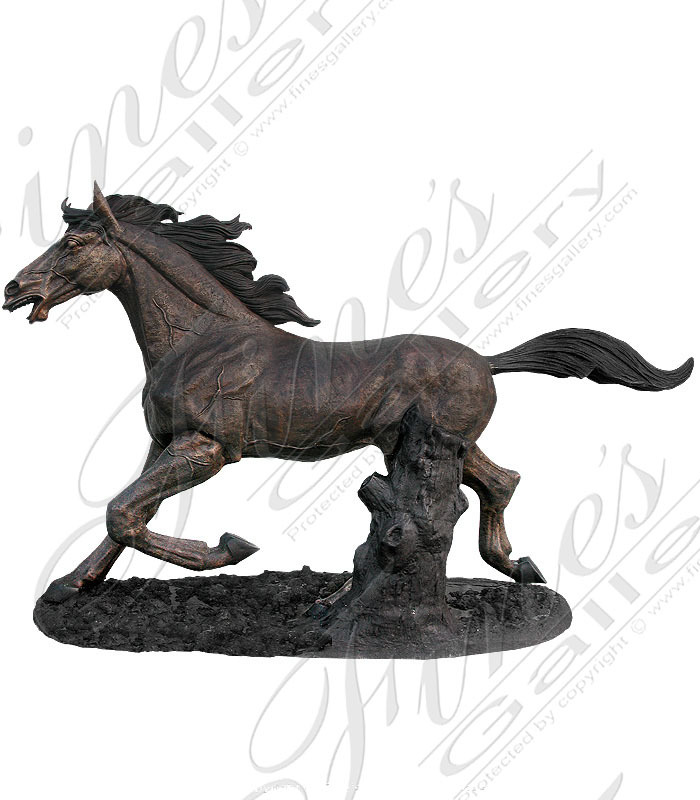 A bronze masterpiece, this agile creature gallops at full speed with flowing mane, open mouth, and sinewy frame.Hand carved ina darkbronze, with alarge basefor support.Celebrate the horse and beautify youryard with thisfine likeness. 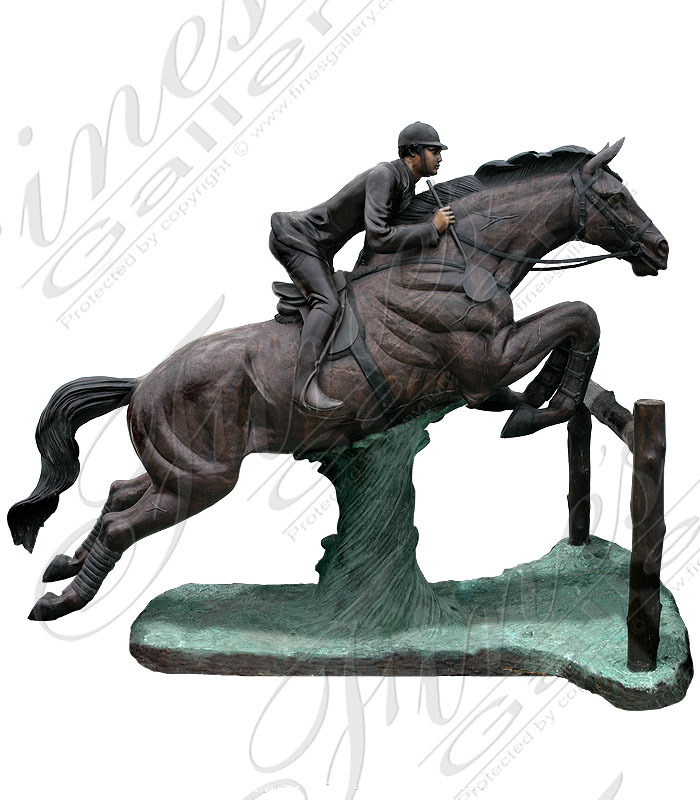 The artist has frozen in timeariderand his formidable steedshow jumpingan obstacle course in a moment of Equestrian Grace.Sculpted fromgorgeous black, brown, and gold tones ofbronzewithexceptional detail.Contact us today. 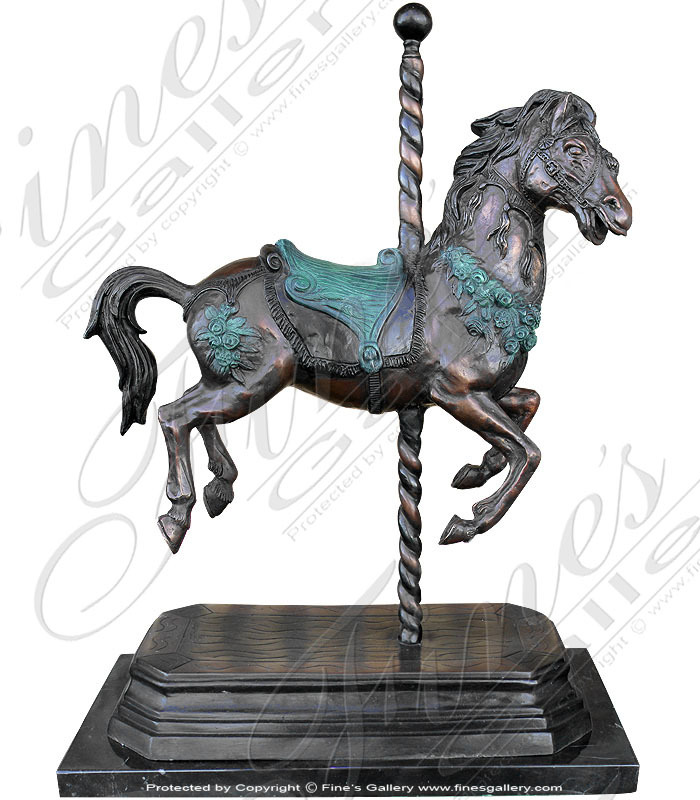 This delightfully playful bronze horse carousel statue brings back the dreams of our childhood. It is very intricately detail, from the spiral poll to the floral harness adorning the pony. A perfect decorative piece. 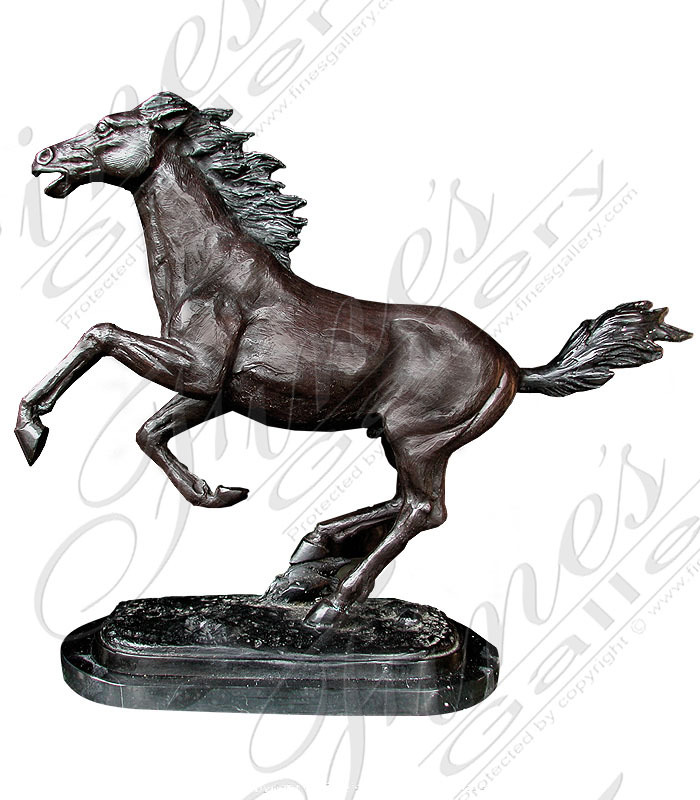 Racing with the wind and freedom in his heart and spirit, this horse runs back and forth with no restrictions and care. This graceful animal lets us make believe that we are making this alluring ride with him. This piece is made of bronze. 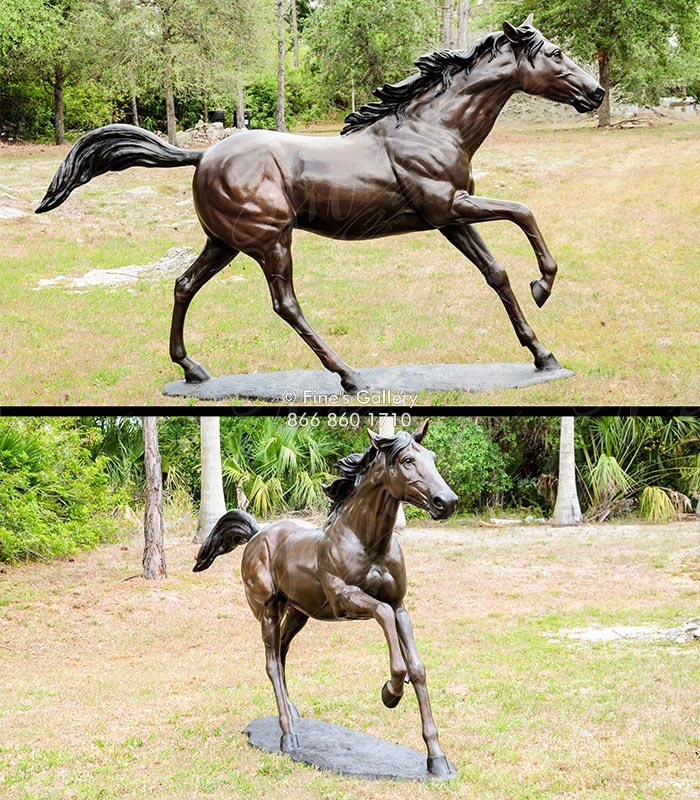 The artist has accomplished bringing to life this stoic beauty with the subtle details from the tail to of this bronze horse or pony statue. 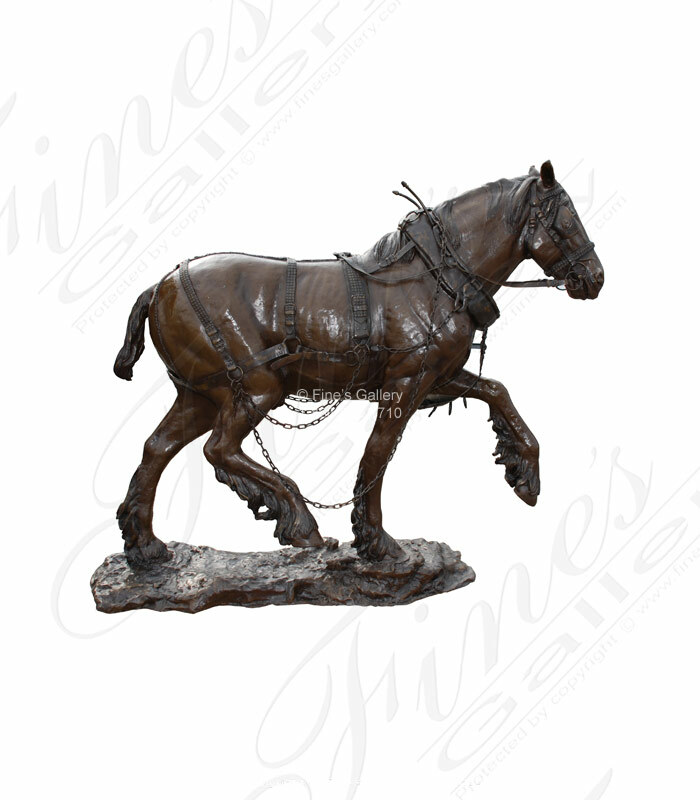 Very proportionate looking and very high quality bronze. Suitable for indoors and most commonly for outdoors. 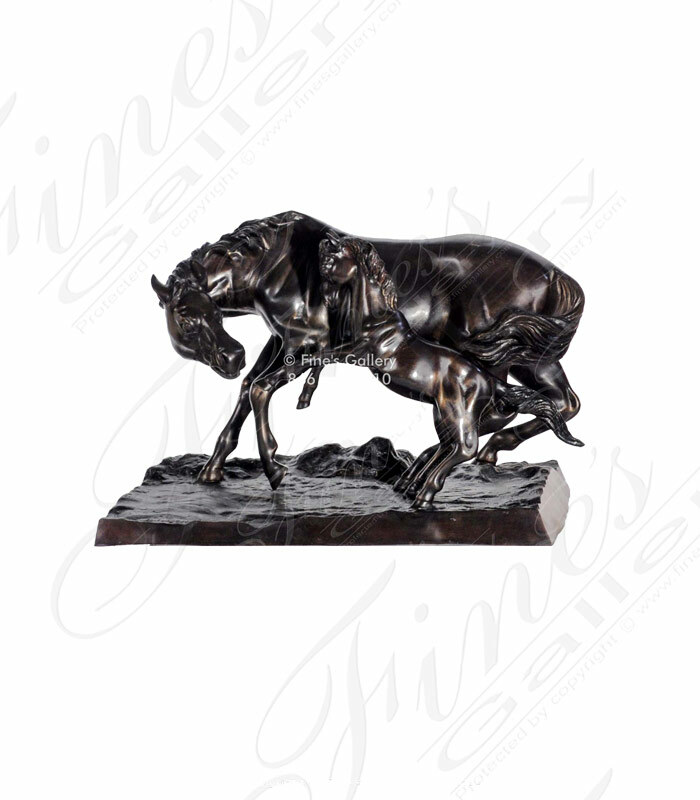 This Bronze Mare Statue is coaxing her young colt to establish certain behavior as she lovingly guides him. She is very protective and the artist depicts the emotions of her parental instincts through the sculpture. 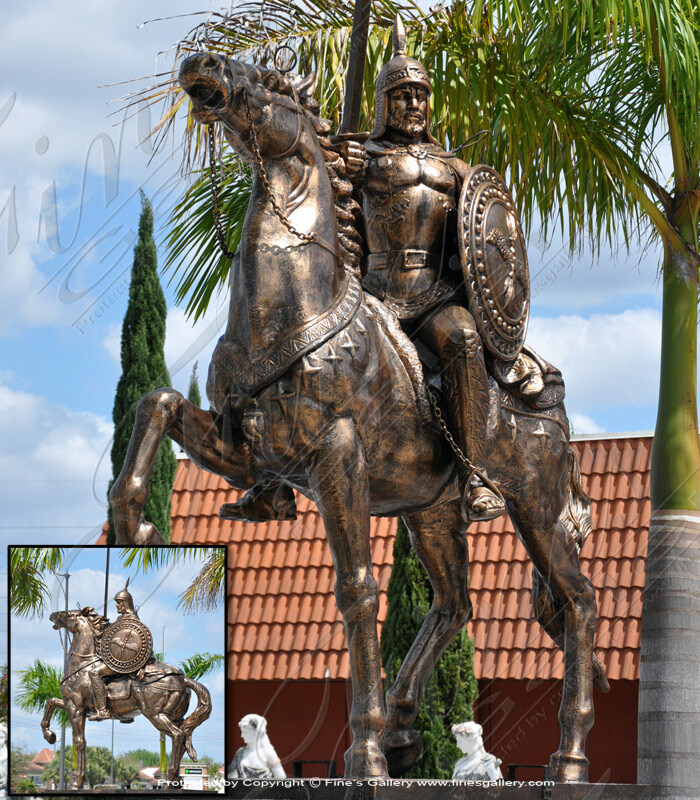 This statue depicts Rooster Cogburn tracking a wanted man into Indian Territory. As the US Marshall for the Oklahoma territory, he faced perilous times going through hostile areas looking for wanted criminals. 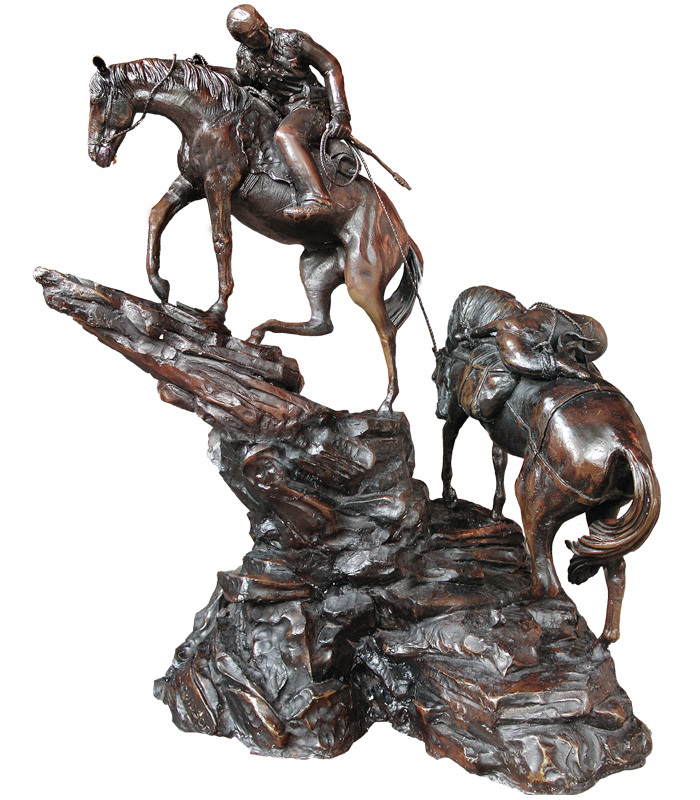 This piece is made of bronze. 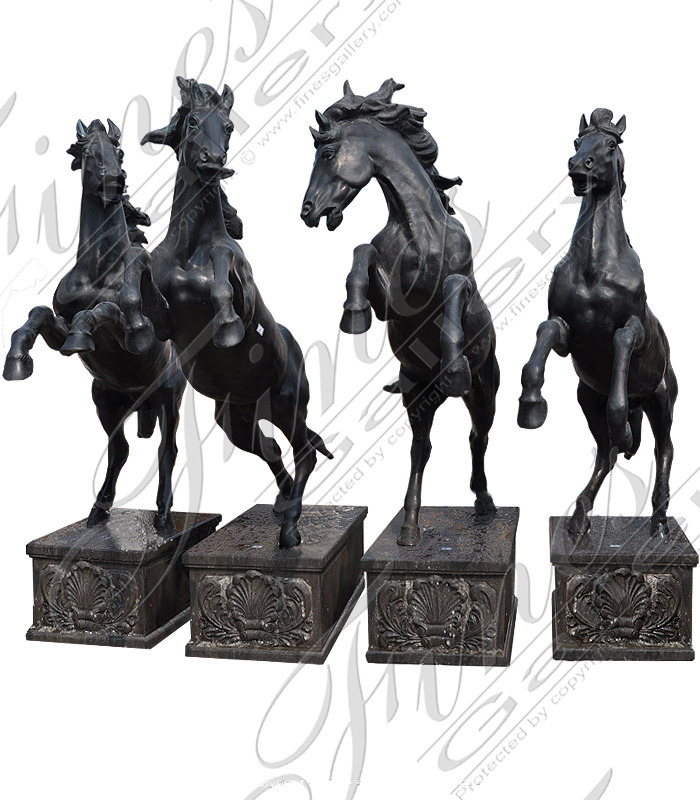 The Three Horses Bronze Statue - With freedom at the core of their heart, these beautiful ponies will try to seize the opportunity to bolt to a lush green pasture on the other side. 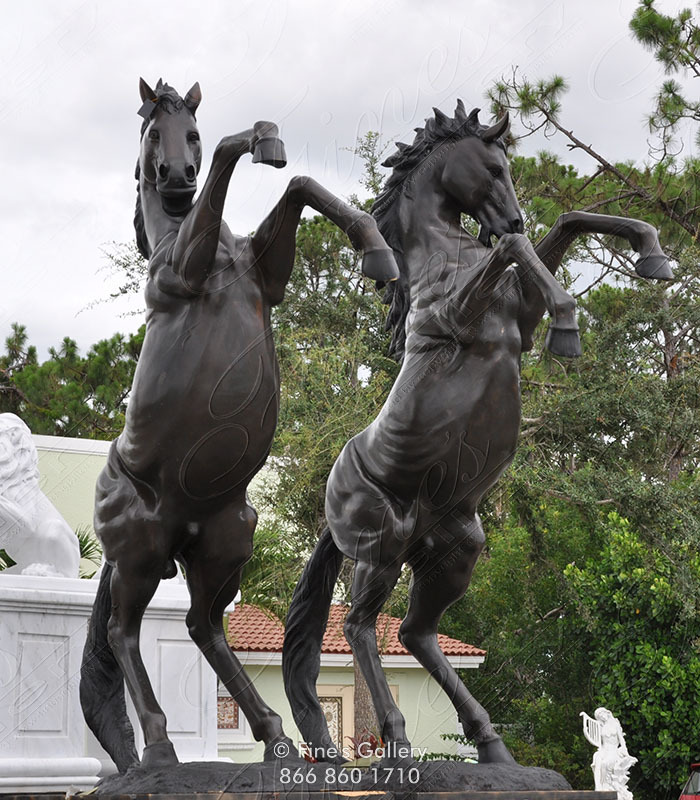 The artist captured the motion of the ponies running with great detail.